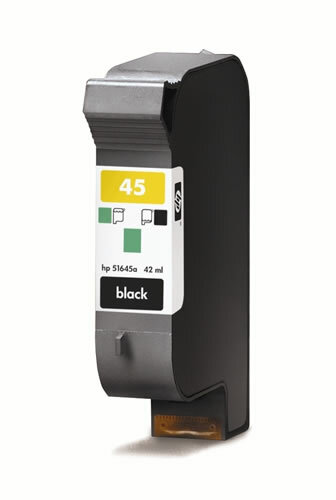 HP 45 Ink - 51645A - For use in a HP Color Copier 110, 120, 140, 145, 150, 155, 160, 170, 180. Digital Copier, 190 Digital Copier, 210, 210 LX, 260, 270, 280 Digital Copier, 290 Digital Copier. 120 Color Inkjet Copier, 210 Color Inkjet Copier. DesignJet 750c, 750c plus, 755cm, 1000cse, 1000cxi, 1100c, 1120cse, 1120cxi, 1125c, 1180c, 1220C/PS. Deskjet 1220cse, 1220cxi, 1600c, 1600cm, 1600cn, 6122, 6127, 710c, 712c, 720c, 722c, 820cse, 820cxi, 830c, 832c, 850c, 855c, 855cse, 855cxi, 870cse, 870cxi, 880c, 882c, 890c, 890cm, 890cse, 890cxi, 895cse, 895cxi, DeskJet 9300 Wide Format, Deskjet 930c, 932c, 935c, 950c, 952c, 959c, 960c, 960cse, 960cxi, 970cse, 970cxi, 980cxi, 990cm, 990cse, 990cxi, 995c. OfficeJet g55, g55xi, g85, g85xi, g95, k60, k60xi, k80, k80xi, Officejet Pro 1150c, 1150cse, 1170c, 1170cse, 1170cxi, 1175c, 1175cse, 1175cxi, r40, r40xi, r45, r60, r65, r80, r80xi, t45, t45xi, t65, t65xi. Photosmart 1000xi, 1115, 1315, p1000, p1100, p1100xi, p1215, p1215vm, p1218, p1218xi. Page Yield: 930 pages @ 5% coverage. 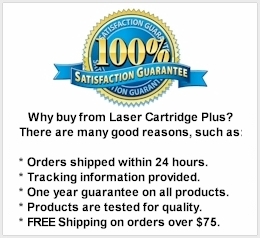 Search terms: hp 45, hp 45 ink, 51645a, hp 51645a, hp 45 ink cartridge, hp51645a, hp 45 black, hp 45a, hp 45 black ink, hp 51645a ink cartridge, deskjet 932c ink, 51645a cartridge, hewlett packard 51645a, hp 51645a ink, hp 51645a cartridge, 51645a ink cartridge, 51645a ink, 51645a black, 51645a refill.